When keyboard lights aren’t enough, hear the sound of locking. Many people have a habit of typing by looking at the keyboard instead of looking on the screen. This is a common problem among all, where caps lock is accidentally pressed. 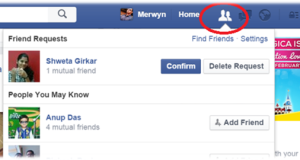 When you’re busy typing you might accidentally hit one of these locks which might force you to retype. 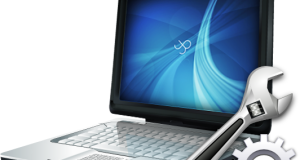 However, Microsoft designed this feature specifically for people who have vision impairment or cognitive disabilities. 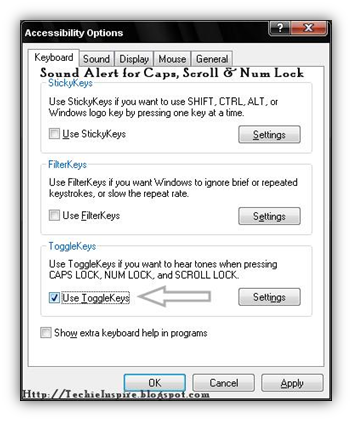 All Windows have an option of ToggleKeys feature, when CAPS lock, SCROLL lock or NUM locks are pressed a high sound play when the keys are switched on and a low sound play when they are switched off. The sound beep comes from the internal speaker of CPU. 1. Go to Start –> Control Panel –> Accessibility Options or repetitively press Shift key repeatedly, Sticky key dialog box will appear. 2. Now, In ToggleKeys, Add Tick (Checkmark) to Use ToggleKeys and Press OK. Now the sound alert for CAPS, SCROLL and NUM Lock is ON.